The purpose of the BRICS development institution is to help develop its member countries while Washington-led financial institutions, the IMF and the World Bank are no longer doing this, the Russian President’s advisor said Friday during the VII BRICS Academic Forum in Moscow. 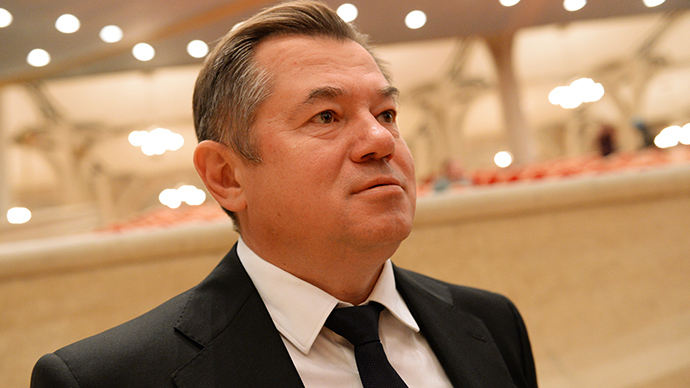 The IMF is promoting the interests of financial speculators, requiring the dismantling of barriers for the movement of speculative capital from all the countries, Glazyev added. “The volume of speculative capital has more than tripled over the last 5 years due to the increase of volume emissions of global currencies, but that printing press of the dollar, euro, pound and yen reaches the BRICS countries only in the form of speculative waves,” the advisor said. This destabilizes the economy rather than helps it sustainable development, according to him. The Russian official says BRICS countries need their own institutions, independent from Washington, not to replace them but to solve the problem of the accumulation of financial resources for development. The VII BRICS Academic Forum is preceding the upcoming BRICS 2015 Summit which is to be held in the Russian city Ufa on 8-9 July. The BRICS countries decided to establish the BRICS Bank, along with a $100 billion reserve currency pool last year. The bank’s key role is to serve as a pool of funding for infrastructure projects within a group of the BRICS five countries. In March, Russian President Vladimir Putin signed a law ratifying the BRICS Bank.